SSL certificates provide additional security for your visitors during sign up, check out or any other process during which different personal information is provided. For example, if your Magento Store can process credit card information you should consider protecting your clients' personal information and credit card details by setting up a SSL certificate for your website that will encrypt any sensitive data and protect it from any malware activity. Furthermore, SSL certificate will greatly improve your business and website credibility as your visitors will see that their data is protected and you are accredited and verified business owner by a well-known SSL vendor. FastComet Magento Hosting E-Commerce package is specially optimized to provide fast and secure hosting environment to support all Magento features and provides Free GlobalSign SSL Certificate. 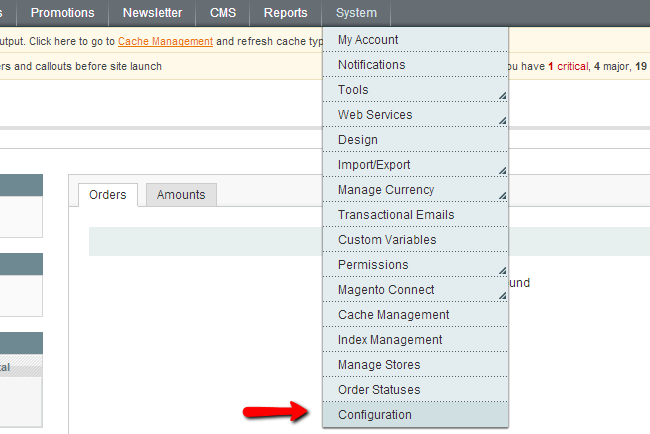 As soon as you have your SSL purchased and installed you can activate it for your Magento store via your Magento Admin panel -> System -> Configuration section. On the left side you should click on the Web and refer to the Secured menu. Base URL: Change the url from http://example.com/ to https://example.com/ where example.com is your actual domain name. Use Secure URLs in Frontend: By default Magento will protect all pages on which your clients input any sensitive information such as check out and register/login pages. Still, if you would like to have your Magento store to work via HTTPS only, you may set this value to YES. Still, be advised that enabling your SSL for your Magento Store frontend might have negative performance effect on your website as data encryption requires additional time and resources from your website. Use Secure URLs in Admin: If you would like to have your Magento Admin panel accessible only via HTTPS you should consider setting this value to YES.